I recently received a copy of the children’s picture book, Moon Mail and Star Kisses, a stirring read for any child who has to spend some time separated from someone they love. I love the title and yes, the pages are just as alluring and will not disappoint! It’s written simply and easily enough for children of all ages to read and appreciate. The book is published by Anaiah Press LLC and was released on April 28th. My nine year old found the pictures and verse mesmerizing and wanted to read it again! That is saying something for a boy who usually clings to his Nintendo DS for dear life. We are currently separated from my husband as he is leaving Fort Leonard Wood for a new position in Kansas City. 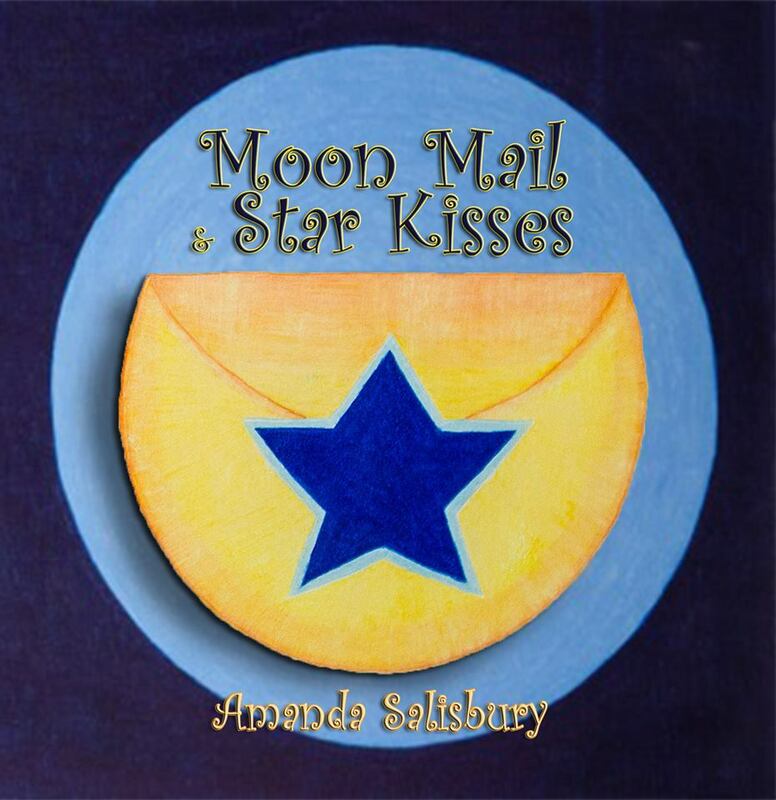 During our separation, I think the idea of sending ‘moon mail’ and ‘star kisses’ is something our son will enjoy. And I want him to literally write some mail! Writing down one’s feelings is always a great idea for a child who feels stressed. If your milkid is feeling sad due to a deployment, or TDY separation, I encourage you to read this book with your child as a way to open up a conversation about those feelings. The moon and stars won’t be the only ones listening, but they will always be there when we look up, wherever that may be. Besides the great message for milkids, I found the book to be visually beautiful and marveled at the way the words are designed to literally flow across the page. The design is only surpassed by the poetic message. In the summer of 2012, my nieces came to spend the weekend at my home. As my sister left the house, she reminded them to look to the moon for her mail and to the stars for her kisses. In turn, the girls, then 7 and 5, promised to return moon mail and star kisses. The concept ignited my imagination, and we thoroughly practiced sending mail and kisses all weekend (as I’ve done with my own three boys ever since). When my sister and her husband returned, I asked where she’d picked up the idea. She gave a quizzical look and told me that she made it up. ← Something to read to your child when he gets in trouble at the new school! Great book. Kids really can relate and find inspiration from the reading.